Little Peppa is an adorable tiny blue Staffy who is 6-7 yrs old. 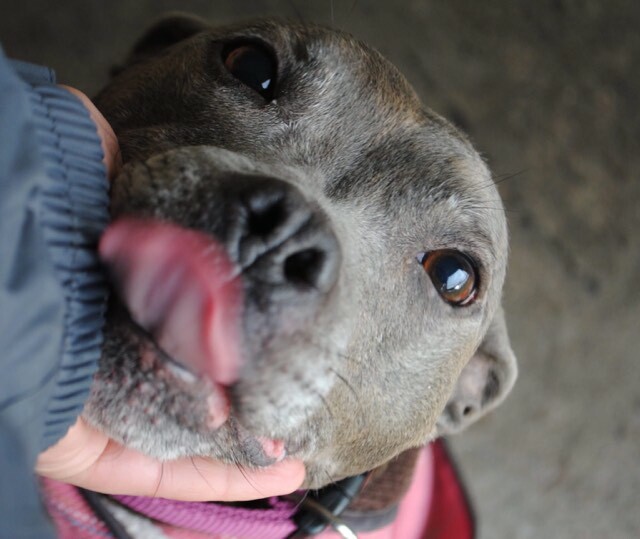 She is a Staffy through and through who LOOOOVES everyone she meets, and wants to be the centre of attention and will tell you if she thinks she’s being ignored! Peppa is clean in her kennel, walks lovely on her lead and travels well. She is an excitable little lady who loves her cuddles! She also loves a game of fetch! 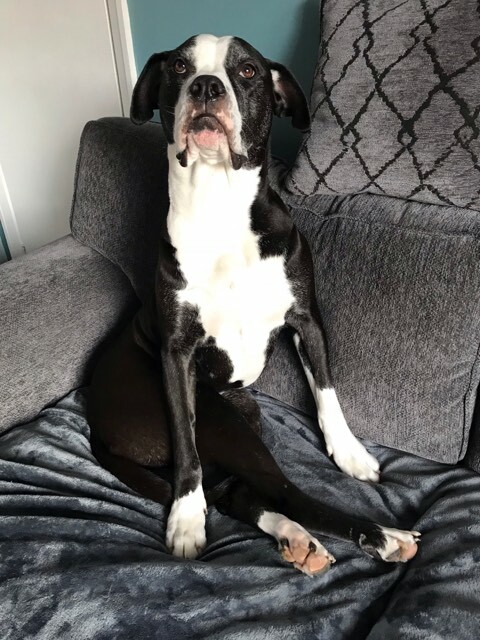 Peppa is noisy when she sees dogs in her kennel, but is better with dogs when she’s out, however will need slow intros with dogs and a Staffy savvy owner who can keep her relaxed around dogs after this stressful time in kennels. She is a total love bug, and is a Staffy lovers dream! !